Many times pond owners outgrow their ponds and want a larger pond or one that is easier to maintain. Many older ponds have leaky liners or structural issues and rebuilds are the only option. 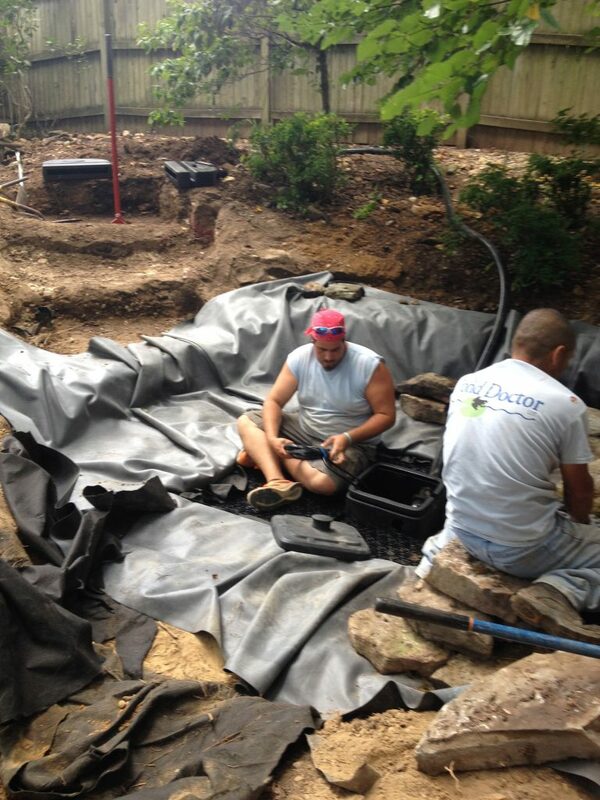 A rebuild will allow the client to improve the look of the pond and utilize filtration systems that will improve the pond experience. Call the Pond Doctor for an estimate.